For many people, a fear of public speaking ranks as one of the most common dreaded fears. If you are an extrovert and love attention, then you are more likely to take these presenting matters into your stride. But for the shy introverted speaker, life can be very, very different. Hearing “don’t worry, it’ll be fine…” is meant with good intentions, but it can seem so patronizing. A fear of public speaking (glossophobia) is a form of social anxiety. You can have a fear of public speaking yet still be comfortable displaying physical skills in public or meeting new people. But if these situations also cause you to feel nervous, then your social anxiety is considered to be more acute. 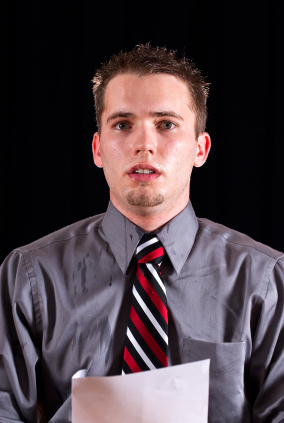 When you suffer severe social anxiety, public speaking can cause you to panic and can be the source of major distress. In work, during those meetings of great importance, it can cost you your job. More importantly, if you have social anxiety and general anxiety, it can be a source of depression. The racing heart beat; the familiar “knot” in your stomach and the nausea are just the start of the affairs when you are told that you have to speak in public. It’s rarely something that you volunteer to do. Who wants to be publicly shamed and disgraced in front of your wider family, peer group or colleagues? The agony has started long before the presentation date, yet there is this impending doom that beats as each day draws closer. Your sleep is restless. The socially anxious speaker hates being the focus of attention. If you could guarantee that your presentation will impress your audience then it might not seem so bad. But to be in the spotlight when you are struggling to be coherent is degrading. The harder you try to mask your symptoms the more “visible” you become! There is nowhere to hide from your fear of public speaking. Can you avoid giving your presentation? When you look back on your life, I’m sure you would have done all you could to skive those early childhood school presentations. You tried to feign a tummy ache (which was probably anxiety) in the hope that it would convince your parents that you needed a day off school. But even moving through the educational system, a presentation would have been demanded as part of an assessment somewhere. And when they gave out the subject titles, you had to pick the “dull” subject that you knew nothing about and would send everyone to sleep. You did the best you could to make it interesting, but the “yawns” of boredom is what you learnt about the experience. The seeds of fear and humiliation have been sown! So in work, you’ve disguised your fear. You’ve delegated the presentation to a subordinate member of staff because “it’s good for their development!” But those small business meetings demand that you to give a short introduction of yourself; you can’t pass the buck in this situation. This is enough to get you flustered and put your professional reputation on the line. And when you’re tenth around the business table, the time moves so slowly. You don’t even remember a word of what is being said by the other delegates. You are deafened by your own internal voice of worry. Even socially, you cannot escape the personal request from a loving family member to “say a few words” during their moment of pride. At weddings or formal occasions, there’s nothing like being expected to say a few “stammered” mutterings to ruin your day for you and lose your social esteem. Why is the fear of public speaking such a problem? Unfortunately with performance anxiety, when you are stressed and place too much importance on using a certain part of you, it’s that part that can “lock” and become dysfunctional. So the tennis player’s shoulder tightens, the pianist’s fingers become stiff and the singer’s voice becomes strained. It’s as if that precious part of you is fired with excessive nerve impulses and is out of control at the worst possible moment. For the socially anxious public speaker, anxiety “grips” the ability to speak. The diaphragm muscle tightens making it hard to breathe. This causes your words to become stammered, misplaced and forgotten. Your throat can become dry and constricted. Your voice can become overly quiet or sound choked. In short, it’s an effort to get your words out. But it’s not just the voice that is overwhelmed. The mind can be affected too. It can distort your awareness of time. The things you want to end quickly, take forever. Waiting for everyone else to finish their presentation (so that you can start yours), can take an eternity. You then build up more anticipatory anxiety. But when you are giving your own presentation, your brakes have failed. It’s as if you are chasing a prize for the fastest presentation. In your confusion, you abandon your bullet points for a “speed-read” of your notes. Your eyes and head drop down into your script in desperate hope that if you can’t see them, they won’t be able to see you. Stress can also affect memory and concentration to the level that you lose your purpose. You become forgetful, disorganised and distracted. Other phrases for the latter can include being “spaced out”, distant or self-absorbed. This can happen at any moment of the proceedings. Some get overwhelmed immediately before or during the presentation. But even after the presentation, the trauma keeps you in a daze for…days! Another important issue for the socially anxious speaker is prejudging the audience as experts. You believe that they can see through your inferiority. You are convinced that they know more than you about your subject and you are about to be exposed as a fraud. If the presentation involves questions and answers, this will be the key moment of public humiliation. You believe you will be asked intellectually challenging questions that you don’t even understand! Never mind being able to remember the answers, the question is so complicated, that you remain petrified as if they’ve sent you an electric shock. So you stall for a repeated question because you have developed temporary hearing loss! Not only do you believe that the audience know more than you, but you imagine that they have X-ray vision. They can see every symptom of your anxiety: the blushing, the excessive perspiration and the hand tremors. These are somehow caught on camera with a powerful zoom lens and are being broadcasted on a screen behind you. Even the internal anxiety symptoms e.g. heart racing, nervous diarrhoea and “jelly like legs” can be seen and judged as out of control. Your fear of public speaking is contained in a higher negative belief that anxiety is a sign of weakness. This only serves to make matters worse for you. It prevents you from gradually working through your fear because you (wrongly) equate anxiety with incompetence. It’s a non-starter and you don’t feel very well! The anticipation of something can be more traumatic than the stress of the actual event. When the notice has been given of the presentation, anxiety can weigh you down, causing you to procrastinate, cling to unhelpful comforts (food, alcohol, cigarettes etc. ), lose sleep and generally become forgetful and distracted. Your heightened state of anxiety draws you deeper into fearing the worst on presentation day. The stress symptoms can then peak immediately before the presentation. Contingency plans to proactively deal with what might go wrong are left open-ended as a vulnerable fear, rather than something that you can act on and make the situation feel safe. Stress levels can be so high that the moments before and during the presentation can seem like going through the motions on auto-pilot. Unless your presentation is recorded, there is very little recall of your experience. Even after the presentation, the distracted emotional state makes you immune to absorbing any positive feedback. Regardless of whether it has gone well, your self assessment is still biased since you based your measure of success on the feelings of anxiety. You were anxious, so you must have failed. The presentation has traumatised you yet again and is something you must avoid if given the opportunity. Does this seem like part of your routine? For the socially anxious person, this is probably déjà-vu. But it doesn’t have to remain that way. The best way to deal with your fear of public speaking is to confront it, armed with some helpful techniques. You can tackle your fear of public speaking in small progressive steps. This will help you to focus on it as a series of skills that can be learned, rather than seeing it as a cycle of events that submissively drags you through a bush full of thorns. Hypnotherapy can be used to control your anxiety, re-frame past traumas and visualise your confidence. 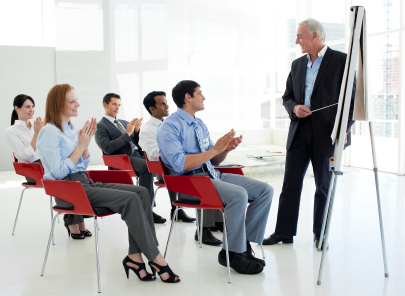 My expertise as a qualified teacher/trainer will also help to ensure that you are using effective techniques that get the best out of you in your preparation and on the day of your presentation. Looking for some more self help tips? 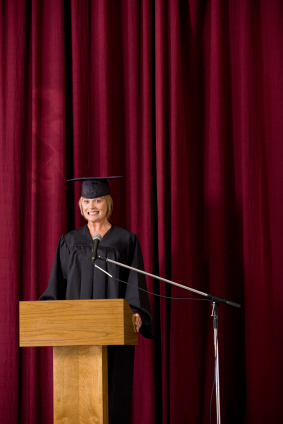 Overcome your fear of public speaking with a series of public speaking tips.